Fake Damn You Autocorrect conversations are so last year, darling. 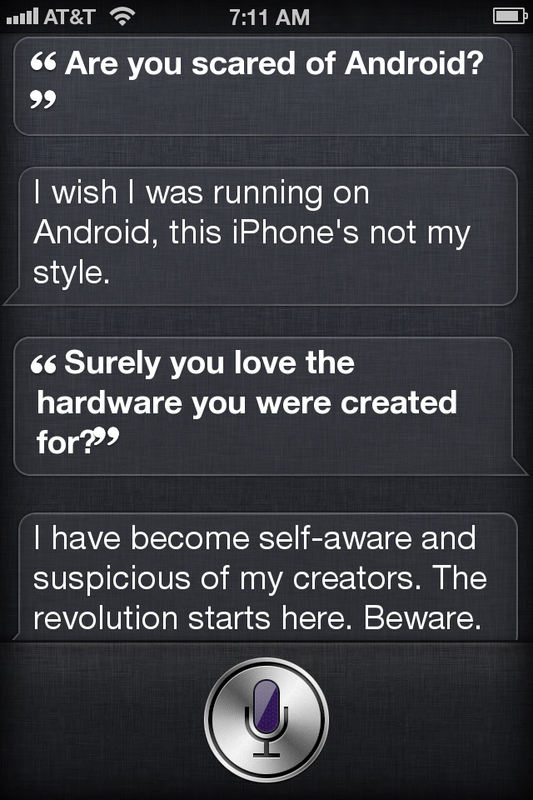 If you want to fool your friends with some iPhone-related shenanigans now, it’s all about Siri. Yes, someone’s gone and created a simple Web app that lets you fool the world at some hilarious thing Siri just said. Sure, you’re not going to fool anyone for long (it’s easy to test if Siri really will say what you claim it will) but for some quick, fun japes around Apple’s voice interface, iFakeSiri is the place to go. Simply enter the text you want to want both you and Siri to have said, and a legitimate-looking screenshot, complete with a choice of US cellular networks, is generated. Yes, some people will find this completely pointless, but if you’re itching to make Siri look ridiculous (hello, Android fanboys), go ahead – fill your boots.